Although Simon and I love going out for Sunday lunch, it's definitely something that we don't really indulge in too often. 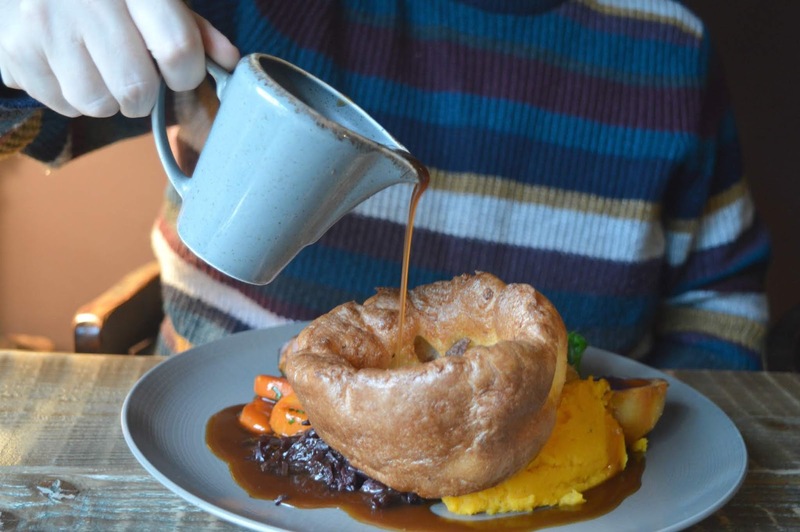 The list of places in the North East that we'd like to try is now so long that I'm seriously considering making "go out for more roasts" a New Years Resolution in January (sounds better than joining the gym doesn't it?). 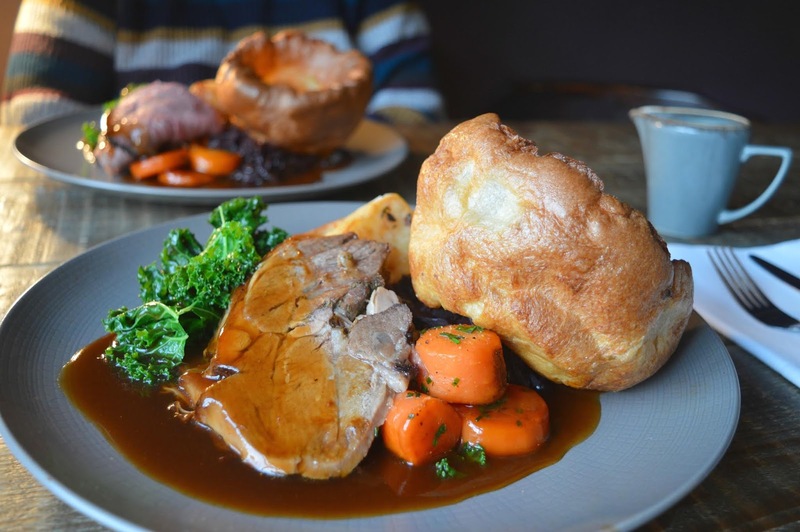 Somewhere we've been meaning to try for ages is the Northumberland Arms in Felton and last week we finally ticked their Sunday Lunch off the list. As we drove into the pretty Northumbrian village of Felton we realised that it had actually been over three years since our last visit when we went on a bus trip from the centre of Newcastle to enjoy afternoon tea at the Running Fox. Don't ask me how we managed to get ourselves out there by bus but haven't been back since having a car, it's pretty bonkers really isnt it? If you've not been to Felton before it's a must visit for the next time you find yourself pottering in Northumberland. 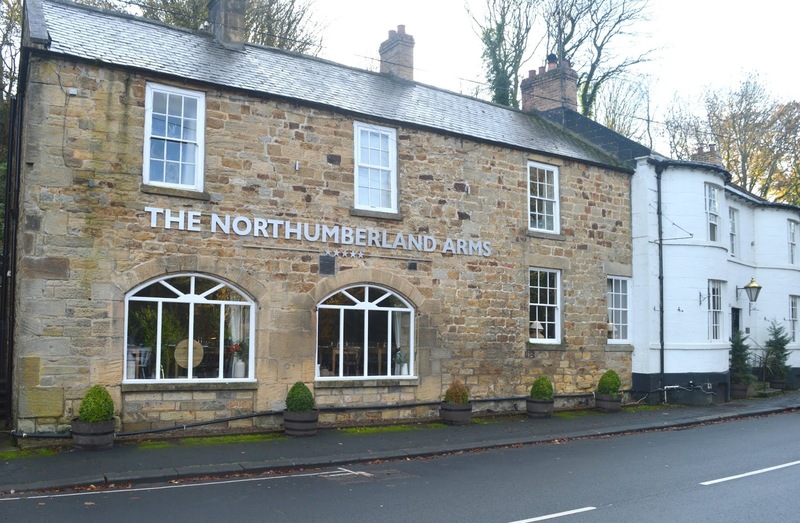 A picture perfect village a short drive from Morpeth, its stone buildings, cute little bridge and lustworthy cottages make it the perfect place for a lazy Sunday afternoon especially when its local is The Northumberland Arms. The Northumberland Arms is the kind of pub that makes Simon and I instantly go into daydream mode of "wouldn't it be nice to live somewhere with a pub like this" - it's everything I love about pubs in the countryside. Warm, friendly, really cosy and with a wonderful atmosphere that makes you want to stay for the entire afternoon. I knew we were going to be in for a treat as soon as we stepped through the door. Sunday Lunch at the Northumberland Arms is served from 11:30 am and with our table booked for 3:00 pm I was a little worried there'd be no meat left! 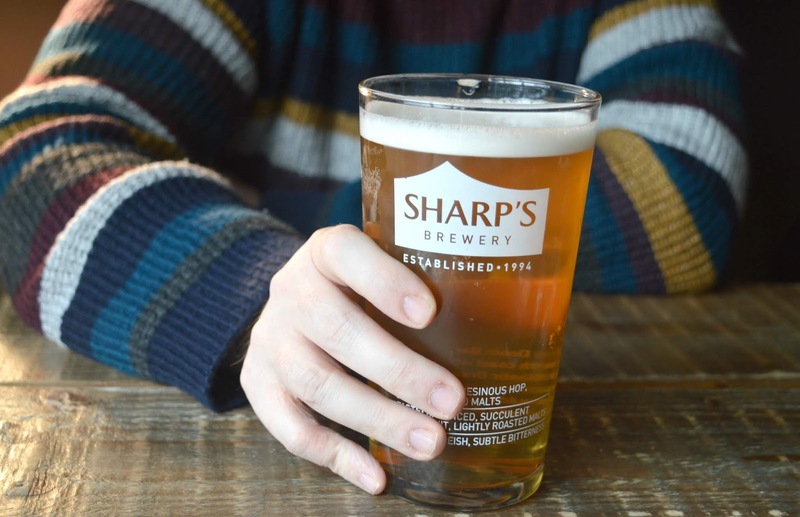 Simon and I are the kind of people that usually book ourselves in for lunch on the stroke of midday so late lunch dining feels a little strange to us. Luckily I had nothing to worry about and we were presented with a full menu on arrival - phew! Following our server through the never ending restaurant (the Northumberland Arms has a labyrinth of beautiful dining rooms and every table was busy!) we were shown to a lovely little corner by the window - perfect for people watching and for Simon to indulge in his new hobby - watching people trying to get a spot in the pub's carpark across the road. I honestly thought I was going to have to draw the curtains so I could have his full attention! With starters, mains and desserts to work through Simon took the lead and decided that a full three courses were in order as this was "our only meal of the day", I obviously didn't take too much convincing and turned my attention to the first course menu. 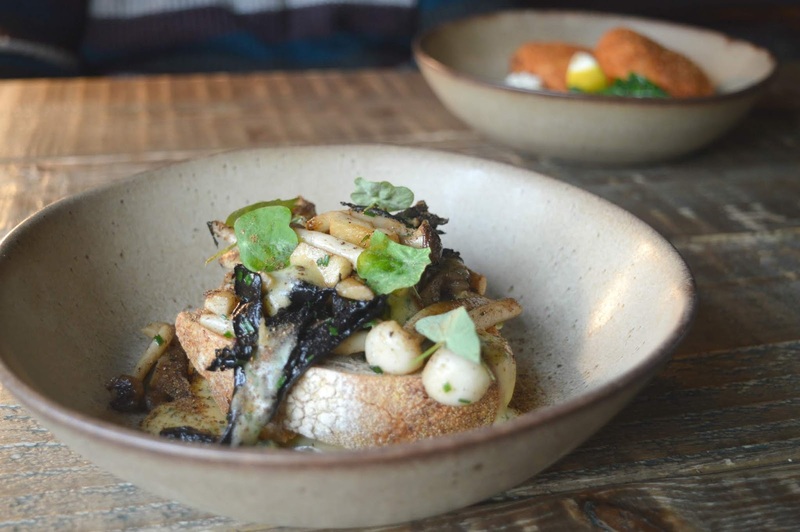 I opted for Locally Foraged Mushrooms on Toast with Truffle Hollandaise (£6.50). Packed full of flavour, it was the perfect way to start off my meal and a great promise of what was to come. This wasn't going to be your average Sunday Lunch! 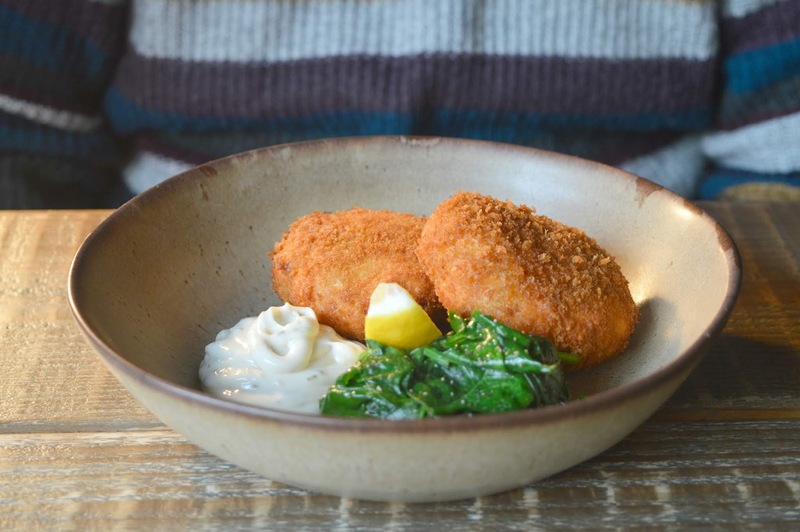 Despite warning Simon that whenever he orders fish cake as a starter he ends up stuffed before we get to our main course, he chose to ignore me and ordered Smoked Haddock and Salmon Fishcake with Wilted Spinach and Lemon Mayo (£6.95). The portion was huge with two fish cakes put down in front of him and, as they were "the best fish cakes I've ever had" he ate the whole lot! 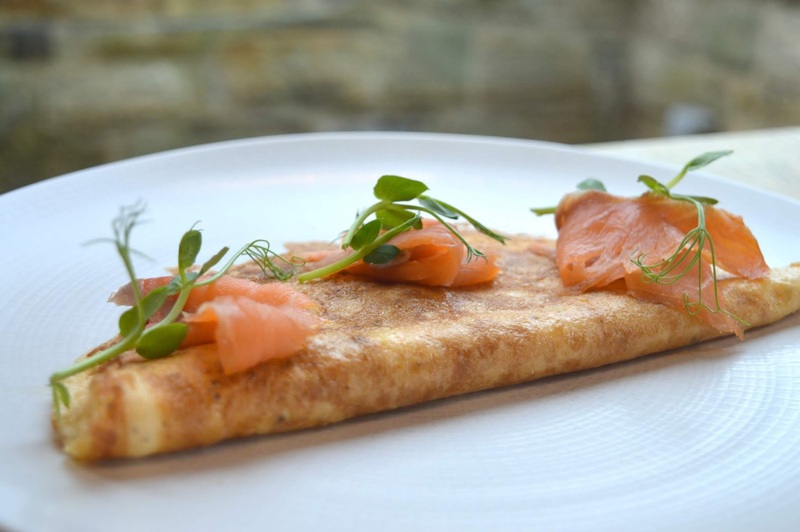 If you're a fan of Sunday Lunch then you really do need to get yourself to The Northumberland Arms as their main course offering really is something to write home about. 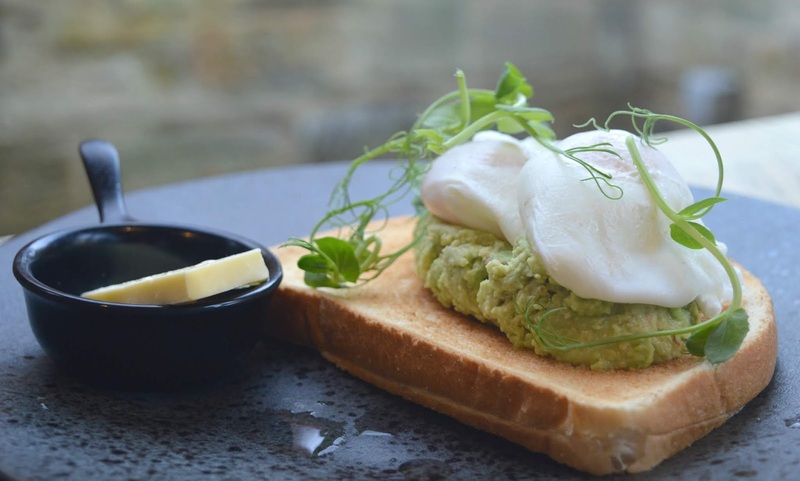 With the full selection of meats, a traditional nut roast and some delicious sounding local alternatives there is something for everyone on the menu. I was secretly fuming when Simon managed to get his order in first (he loves to do that as he knows I'll never order the same) - Roast Topside of Beef (£12.95). Roast Beef is my absolute favourite Sunday Lunch dish if it's done well, and with the starters being such a huge success I knew their Topside of Beef would be spot on, and I was right. Simon allowed me a little slither and it was so pink and tender. I went for a meat that I'd never usually order - Slow Cooked Lamb (£12.95). Whenever we go out for Sunday Lunch I will always automatically order chicken or beef without even really properly looking at the menu so it was lovely to go for a different meat and my slow cooked lamb was so delicious. It's made me realise I should really order different dishes more often. Each roast at The Northumberland Arms comes fully loaded with with duck fat roast potatoes, swede mash, braised red cabbage, seasonal veg and a yorkshire pudding. 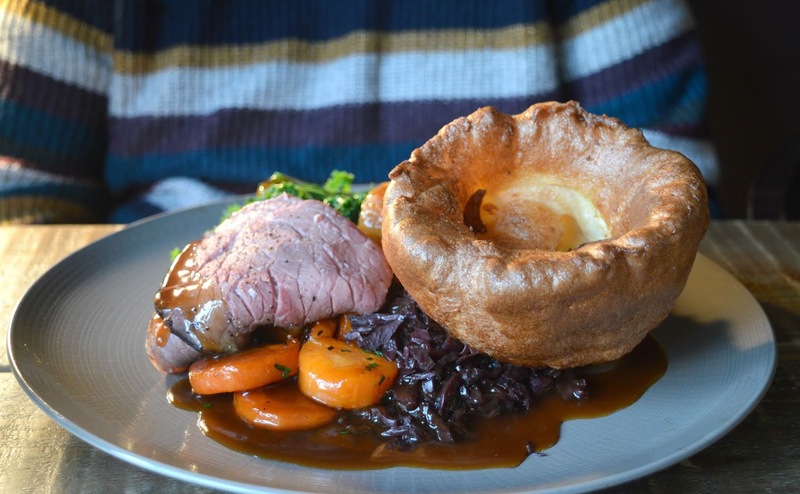 If you're feeling particularly hungry you can also boost your roast for £3.00 which will give you extra meat, roasties and yorkshire (believe me you'd need a big appetite to do that because the standard roasts are huge enough!) We also loved that despite our plates swimming in delicious thick gravy we were also presented with a jug of gravy on the side, there was no way we were running out! The Sunday Lunch at the Northumberland Arms was so good, it was the kind of roast lunch where you want to rush into the kitchen to ask the chef for all the secrets. How did the roast potatoes get so fluffy, what was the secret ingredient that made the cabbage so delicious and how on earth do you serve up meat that tender? As you can imagine, after eating all of that we were so full but still couldn't resist dessert and so sneakily undid our top buttons before taking a good look at the sweet offering. I don't know about you but if somewhere has a really good menu I can't resist a pudding no matter how full I am, and The Northumberland Arms had some very tempting treats. 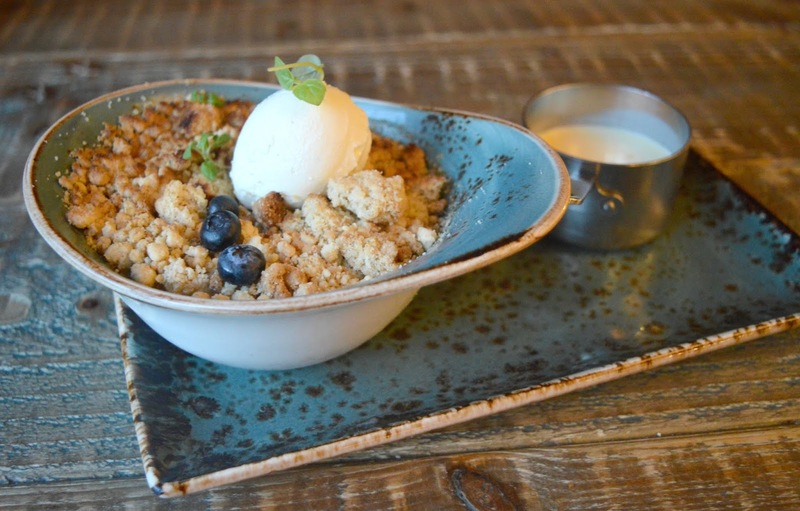 I really love hot puddings in the Winter months so couldn't resist the Bramley Apple Crumble with Orange Creme Anglaise and Vanilla Ice-Cream (£5.95). Having creme anglaise and ice-cream on your sweet is the ultimate Sunday treat and I drowned my crumble in both before tucking in. It was so delicious but the generous portion well and truly defeated me and I couldn't quite make it to the end. Simon opted for the Brownie Sundae served with Vanilla Ice-Cream (£5.95), his idea of heaven, you can always rely on Simon to go for any dessert served in a tall glass with layers upon layers of treats. It was huge and although I was too far gone in my crumble to pay much attention to him he definitely enjoyed it although, like me, couldn't quite finish it off. After all that food we were feeling incredibly sleepy and not really in the mood to drive back to Newcastle so we felt very lucky to have a room booked at The Northumberland Arms for an overnight stay. I feel like this is definitely the way forward when eating a big lunch, taking a short journey upstairs to lie down is an absolute dream. 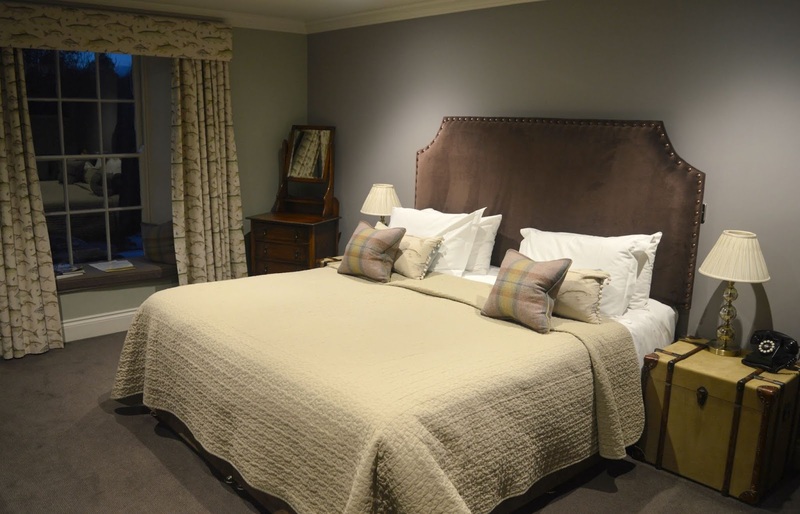 There are six rooms above the pub at The Northumberland Arms, and our home for the night was Bockenfield Market, a Superior Ensuite with a Super King size bed, White Company toiletries, a massive bath tub and a tray of cakes to have with our teas and coffees. We crashed out on that bed as soon as we got upstairs and barely moved for hours. After flicking through some of the local magazines in our room I felt myself nodding off and by 9:30 pm I was fast asleep. I had the best night's sleep I've had in months. I hate being woken up by an alarm clock during the week so having an early night in such a comfortable bed and getting to wake up naturally at daylight was an absolute dream. I slept for 10 hours which is unheard of for me but I am so thankful for having a proper rest, I think I'll be talking about it for a while to come! Breakfast at the Northumberland Arms is served in the beautiful River Room with plenty of food to help yourself to including cereals and pastries, we managed not to go too crazy and saved ourselves for the main event - our Northumbrian cooked breakfasts. After such a huge lunch the day before neither of us could face a full on English Breakfast so decided to go for slight more sensible options. Simon ordered the Smashed Avocado on Toast served with a Poached Egg and I opted for the Smoked Salmon Omelette, a three egg omelette topped with smoked salmon. My omelette was delicious and I wolfed it down in minutes before I managed to pinch a pretty sizeable portion of avocado off Simon's plate - with such a generous mountain I don't think he missed it too much. Our stay at The Northumberland Arms was really lovely and the perfect way to spend a lazy afternoon in Northumberland. I honestly can't think of a better way to end a busy week. We can't wait to go back! We were treated to a complimentary Sunday lunch, overnight stay and breakfast for two in exchange for this honest review. This just looks divine! I dream of living in Felton too. Such a beautiful village! The Sunday roast looks delish. It's been a few years since our last trip but I remember it was good! It's stunning isn't it! Imagine strolling to the Running Fox for your bread, then enjoying a drink in the Northumberland Arms - LIVING THE DREAM! This place looks so cute - I really need to make a point of staying in cosy B&B:s in adorable villages more often! I am such a Winter Crumble fan! That food l9oks so good Chloe, good value too, James and I definitely need to book a little winter escape to Felton! I always think Winter is the very best time to have a little staycation, especially somewhere cosy! This looks amazing Chloe. There's so many places me & my husband go to where we dream about living there, and Felton sounds exactly like one of those places. Ha. Sounds like you had a wonderful time though. We're definitely going to be getting out and about more next year & sampling whats to offer on our doorstep. Playing dream village is one of my favourite ways to spend a weekend! We really need to visit Northumberland more also.